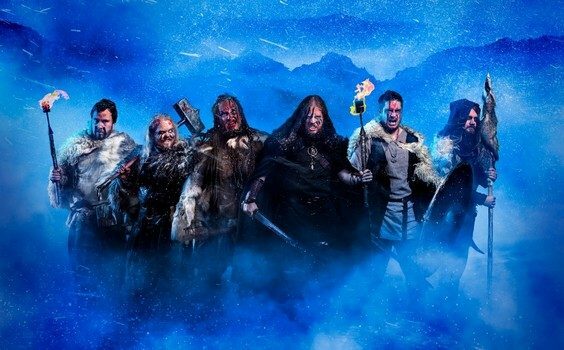 Start your weekend off in the right frame of mind with some catchy folk metal from Sweden’s Grimner. We at DR are happy to bring you a video premiere for the song “En Fallen Jätte,” which comes from the band’s upcoming release Vanadrottning, which releases on February 9, 2018 through Despotz Records. 2018 marks the band’s 10th Anniversary and the band have 20 dates lined up thus far for the year. Check out the song, as well as some of these tour dates down below. And if you like what you hear, you can pre-order the album (in a wide variety of packages) HERE. 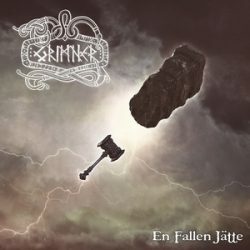 Of the song itself, “En Fallen Jätte” is a lively yet still heavy track. Some solid grooves and riffs accompany some bouncier folk elements that are sure to get your toes tapping and heads banging. There’s the question of whether it’s better to dance about or start up the moshpit (the answer is obviously both), which is the best combination that you can hope for in a song like this. Of course, the video features the band playing in the middle of the woods – because, frankly, where else would a band like this be playing (outside of a pub of course)? But don’t take our word for it, check it out for yourself.